Thomas Mellard Reade, F.G.S., Assoc. M. Inst. C.E., F.R.I.B.A. 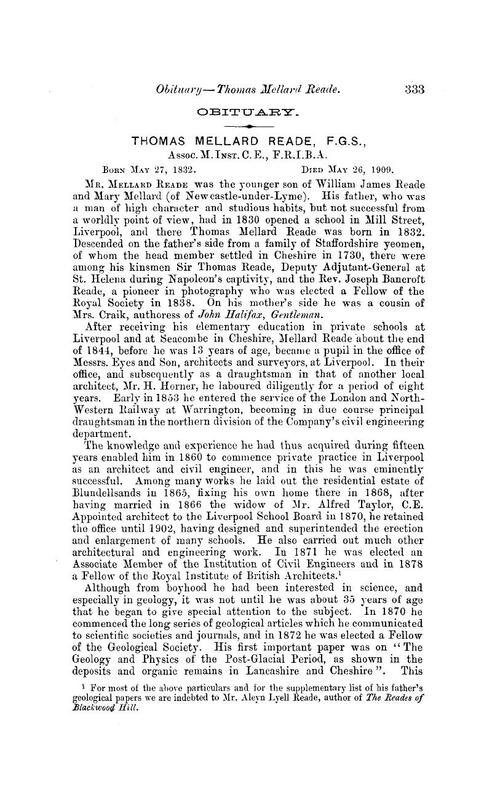 1 For most of the above particulars and for the supplementary list of his father's geological papers we are indebted to Mr. Aleyn Lyell Eeade, author of The Reades of Blackwood Hill.